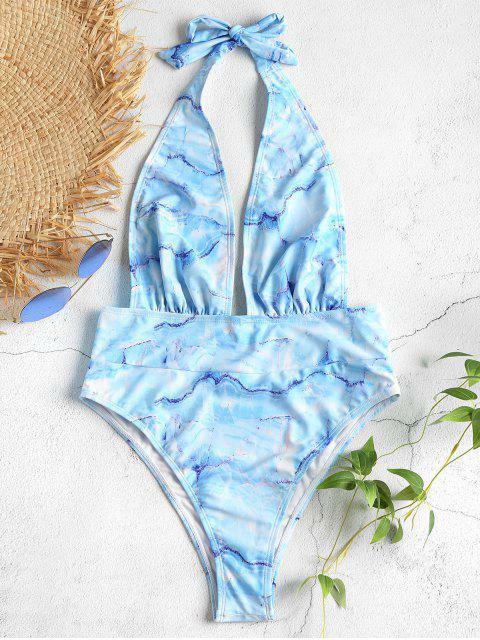 [44% OFF] 2019 Marble Print Halter One Piece Swimsuit In LIGHT BLUE | ZAFUL .. The marble print one-piece is cut with a self-tie halter collarline, ruched detail at the waist, open back and a figure-flattering high-leg brief. Choose a pair of sleek cat-eye sunglasses to enhance the chic vibe.